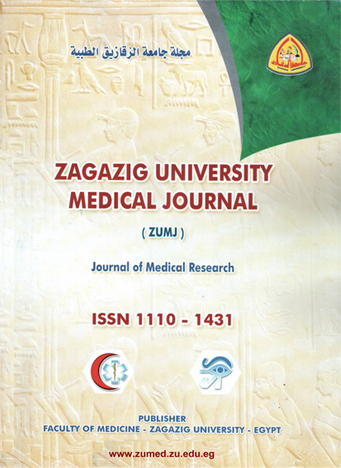 1Lecturer of Cardiology, Faculty of Medicine, Zagazig University, Egypt. And Consultant of Cardiology, King Faisal Specialist Hospital, KSA. 2Assistant Professor of Cardiology, Faculty of Medicine, Zagazig University, Egypt. And Consultant of Cardiology, Ibn Sina National Medical College Hospital, KSA. 3Assistant Professor of Internal Medicine, Medical Research Institute, Alexandria University, Egypt. And Consultant of nephrology, New Jeddah Clinic Hospital, KSA. 4Consultant of Cardiology, Interventional Cardiology Department, King Faisal Specialist Hospital, KSA. OBJECTIVES: We aim to study the impact of chronic kidney disease (CKD) on short and long term outcome of percutaneous coronary intervention (PCI) in patients with acute coronary syndrome (ACS). BACKGROUND: Renal impairment (RI), even if mild, is a known independent predictor of cardiovascular events, but the effects of various grades of RI on PCI outcomes is not well established. METHODS: 427 patients with ACS treated within 24 hours with PCI were subjected to ECG, echocardiography, repeated measurements of cardiac troponin I (cTNI), cardiac isoenzyme of creatine kinase (CK-MB), serum creatinine and estimation of creatinine clearance (eCrCl) by Cockcroft, Gault equation which classified patients into 4 groups as per K/DOQI guidelines. Major adverse cardiovascular events (MACE) comprising death, new myocardial infarction (MI) and target vessel revascularization (TVR) were recorded during early (30 days) and late (up to 5 years) follow up period. RESULTS: Advanced RI was associated with a significant increase in number of affected vessels, percentage of C type lesions and a significant decrease in culprit artery TIMI flow. eCrCl correlated positively with EF and negatively with number of vessels affected and number of late MACE. Patients with advanced RI had an increased risk of TVR in first month after PCI and an increased risk of death, MI and total MACE on long-term follow up. CONCLUSION: CKD is associated with an increased need for TVR during the first 30 days, and increased death, MI and total MACE during later follow up in PCI treated ACS patients.